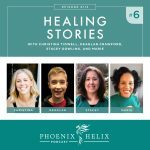 If you’re a regular listener of my podcast, you know that I often start my shows with personal stories, where my guests share their health journeys from rock bottom to reclaiming a vital life. But at least once a year, I dedicate an episode to back-to-back healing stories, and I make an effort to speak to people with different autoimmune diagnoses each time. 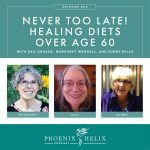 Today, I have 4 guests who are sharing their experience of reclaiming a vital life with autoimmune disease. Let’s inspire each other! 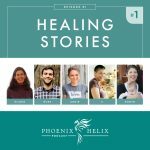 And If you'd like to hear the prior Healing Stories podcasts, check out: Episodes 1, 14, 30, and 43. 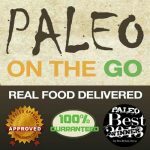 Want to do the Paleo Autoimmune Protocol but don't have time to cook? They offer an Elimination Diet Plan which provides 2 meals per day, plus links to recipes online for the remaining meal. Cristina Curp has Hidradenitis Suppurativa. This skin condition causes abscesses and boils in delicate areas, such as under the breasts, armpits, groin, etc – wherever there are folds of skin. It's very painful to the point that it can limit mobility. Boils vary in size from pea shape to golf balls, and they can take months to heal, weeping fluid that entire time. People tend to feel a lot of shame about the condition and it's misunderstood by many doctors who treat it like a hygiene problem, when it's really an autoimmune condition. Cristina's symptoms began when she was a teenager but they were intermittent and the boils were confined to two places – her inner thighs and armpits. After the birth of her first child, the hormone fluctuations caused the condition to spread beneath her breasts as well, and all three places were constantly erupting and excruciatingly painful. She chose the Whole 30 for her first diet/lifestyle intervention and then added the Paleo Autoimmune Protocol. Her flares reduced in length and intensity, and went from daily to weekly to monthly to eventually stopping altogether. Simultaneously her overall health and energy improved. Now, she's in full remission. She's been able to successfully reintroduce many foods, including eggs, white rice, ghee, nuts and seeds. She learned that nightshades are one of her biggest inflammation triggers, so she avoids those religiously. She also watches the amount of carbs and sugars she eats, because too much can lead to flares. Sleep, stress management and exercise are also important for keeping her HS in remission. Resources: The Hidden Plague by Tara Grant, and Podcast Episode 18: Autoimmune Skin Conditions. Cristina is the blogger behind The Castaway Kitchen. Caroline Potter has Type 1 Diabetes. Many people don't realize it's an autoimmune disease. Caroline was diagnosed at age 20, and she was blindsided. She was quite healthy up until that point, and it turned her life upside down. In fact, she was raised in a family that ate healthfully, which made autoimmune disease even more of a surprise. But it also laid the foundation for her to try dietary healing as complementary medicine. The medical advice she got from doctors shocked her. They told her there was no need to change her diet at all; she just needed to take whatever insulin was necessary to balance any sugar she chose to eat. She gained 20 pounds within 2 weeks of diagnosis, and she was constantly sweaty, lightheaded and close to fainting. Her blood sugar levels fluctuated wildly. 4 months after diagnosis, she read Wheat Belly by Dr. William Davis. She then cut all grains and sugars from her diet. She was able to live insulin-free for 18 months. They call this the honeymoon phase that often happens to newly diagnosed diabetics, but it usually only lasts a couple of weeks. Her doctors had never heard of the phase lasting that long before. Caroline is now back on a small amount of insulin, and finds that combining that with a nutritious, low-carb, primal diet, she is able to keep her blood sugar and her health stable. She also focuses on non-toxic living, stress management, saying no, and prioritizing self-care. 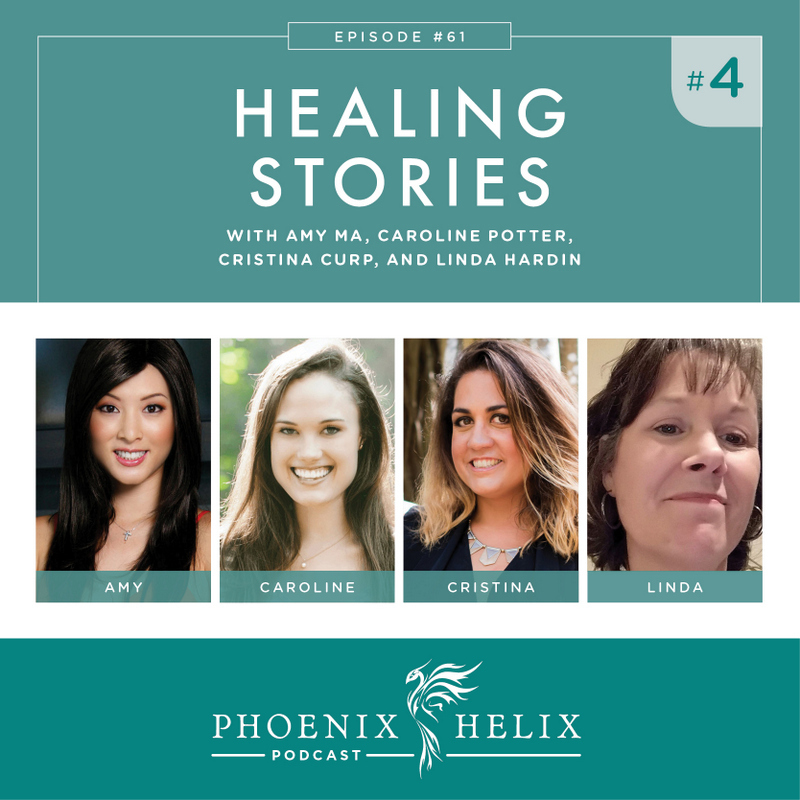 Learning that self-care wasn't selfish was a huge part of her personal healing story. Resource Article: Ways I Emotionally Support My Autoimmune Disease. Caroline is the voice behind the Flourish and podcast. She is also the author of the cookbook, The All-American Paleo Table. And she does nutrition consulting, specializing in a holistic health approach to diabetes. Linda Hardin has Sjogren's Syndrome, Mixed Connective Tissue Disease, and Raynaud's Phenomenon. Sjogren's Syndrome attacks moisture producing glands, causing extremely dry eyes and mouth combined with extreme fatigue. Mixed Connective Tissue Disease is a combination disorder. For Linda, it includes elements of Lupus (which attacks her organs), Scleroderma (which hardens the skin and connective tissue), and Myositis (which attacks her muscles). Raynaud's syndrome is a condition where cold weather and/or stress shuts down blood flow to the extremities. As you can see, Linda is a battling a lot of autoimmune conditions at once. Sjogren's was the first diagnosis Linda received, and since her mother has the same condition, she was well prepared to manage it. Raynaud's came next, and she needed to be constantly prepared with gloves and handwarmers so that she could perform life's daily tasks. Then, over the course of the next decade, various strange symptoms appeared which limited her abilities more and more. Her hands would stiffen to the point that she couldn't turn a doorknob. She developed shortness of breath, dizziness, high blood pressure and balance problems which caused her to routinely fall down. Her joints hurt to the point that she couldn't sleep. Her skin felt like it was on fire. It hurt to hug her son or hold her husband's hand, so she stopped doing both. And she also developed debilitating brain fog. Her rheumatologist dismissed all of these symptoms as a sign of aging. Finally, fate took a hand. Linda almost fainted at work one day and her coworkers sent her to the doctor across the street. The doctor ran a complete autoimmune blood panel and found the markers for lupus, scleroderma and myositis. Linda finally had answers, but they were scary answers because her aunt had died of scleroderma earlier that year. She found a new rheumatologist who took her condition seriously and put her on Plaquenil. Unfortunately, it had limited benefit to her symptoms and high negative side effects (hair loss, uncontrollable diarrhea, and the immune suppression caused her to experience 2 outbreaks of shingles.) She had to stop working, and her illness led to feelings of depression, anxiety and shame about being sick. Linda discovered the Paleo Autoimmune Protocol 2-1/2 years ago. The improvements were dramatic. Her emotional state and mental clarity improved within one week, and that made all of the diet and lifestyle changes easier. She now works 30 hours a week. Her stamina, strength and flexibility have all improved. She can sew again, when in the past that was impossible. She can walk her 50 pound dogs, when in the past she couldn't hold the leash. She can hug and hold hands and is still in awe of how supple her skin is. Her blood pressure has reduced, her Raynaud's has improved, and she lost 35 pounds. She feels like a different woman. And she no longer takes Plaquenil. Linda isn't a blogger. I met her on my Facebook page, where she was sharing her story in encouragement of someone newly diagnosed with Sjogren's syndrome. She was kind enough to share her story on the podcast as well. Amy Ma has Alopecia, an autoimmune condition that causes hair loss. She was diagnosed at age 11 when she went completely bald. For the next 17 years, she would have intermittent periods of hair re-growth, but never enough to cover her whole head. So, she wore wigs from a young age. Adolescence is a challenge for most kids, but the emotional trauma of losing all of her hair made it even tougher for Amy. Her parents took her to a series of doctors over the first few years, seeking treatment. Amy received cortisone injections in her scalp which unfortunately had no effect. At age 28, Amy went on a low-carb diet for weight loss, which removed a lot of gluten, and she experienced some hair re-growth simultaneously, but didn't make the connection. Then a colleague recommended The Whole 30. At first, she thought it sounded impossible, but she couldn't deny the fact that her colleague looked great and had much more energy than Amy. So, she read The Paleo Solution to understand the research and was sold. She went paleo first and then progressed to the Paleo Autoimmune Protocol and in addition to weight loss and energy gains, she experienced dramatic hair regrowth. Timeline: At age 11, she lost all of the hair on her head, including her eyelashes and eyebrows. Over the next 17 years, she had some patchy regrowth fluctuating from 20-30%. When she went gluten-free, it increased to 50%. With AIP, it increased to 80%. Length also improved. Prior to going paleo, her hair never grew past her ears. Now, it's down her back. She still wears a hairpiece to add fullness when she's dressing up, but she has enough regrowth now that she's comfortable going to the gym and the grocery store with her natural hair. Amy did participate in a clinical trial using the biologic Xeljanz, a drug usually prescribed for rheumatoid arthritis. She experienced even more hair regrowth but it disappeared when she went off the medication, and she decided she wasn't comfortable with the side effect risks. Amy now follows an AIP diet at home but eats regular paleo at restaurants. Because hair loss is her only symptom and it's delayed, she hasn't been successful at figuring out food triggers through the reintroduction process. She's now working with a functional medicine practitioner to troubleshoot further. Amy is the owner of Paleo Angel, an AIP-friendly protein power ball company. Use the code PHOENIX for 10% off your order. Summary (1:26:49) – If your diagnosis wasn't discussed today, please know that these stories still apply to you. Autoimmune diseases have much in common, which is why they are treated similarly by conventional medicine, and why the paleo diet and lifestyle works for so many.